The Gill Payne Partnership Ltd gather and process your personal information in accordance with this privacy notice and in compliance with the relevant data protection Regulation and laws. This notice provides you with the necessary information regarding your rights and our obligations, and explains how, why and when we process your personal data. The Gill Payne Partnership Ltd’s registered office is at Rochester House, Ferry Road, Goxhill, DN19 7LA and we are a company registered in England and Wales under company number 4377360. We are registered on the Information Commissioner’s Office Register; registration number Z9077908, and act as the data controller when processing your data. Our designated Data Protection Officer/Appointed Person is Gary Payne, who can be contacted at The Gill Payne Partnership Ltd, Rochester House, Ferry Road, Goxhill, DN19 7LA or via dataprivacy@gillpayne.com. The Gill Payne Partnership Ltd processes your personal information to meet our legal and contractual obligations, and to provide you with our products and services. We will never collect any unnecessary personal data from you and do not process your information in any way, other than as specified in this notice. Via online enquiry forms on our website, via candidate registration forms for accredited qualifications, via emailed enquiries and correspondence, via information provided by clients where we are supporting their staff and/or contractors through personal development, qualifications or, administering personality assessments, via RFIs (Requests for Information) and Tender Submission Requests. We do not share or disclose any of your personal information without your consent, other than for the purposes specified in this notice or where there is a legal requirement. The Gill Payne Partnership Ltd uses third-parties to provide the services as explained below, and business functions; however, all processors acting on our behalf only process your data in accordance with instructions from us and comply fully with this privacy notice, the data protection laws and any other appropriate confidentiality and security measures. We are accredited by and use City and Guilds as an Awarding Body for a range of qualifications. The only information we provide to them is your name, gender (should you choose to give it), your date of birth, your home postal code, and possibly your Unique Learner Number (ULN). We are accredited by and use the ILM as an Awarding Body for a range of qualifications. The only information we provide to them is your name, gender (should you choose to give it), your date of birth, your home postal code, and possibly your Unique Learner Number (ULN). We use the Learner Records Service to acquire and/or access the Unique Learner Number (ULN) for people working on recognised qualification. The only information we provide to them is your name, gender, date of birth and post code. We use OneFile as an ePortfolio system for candidates working towards a qualification. The only information that we input into OneFile is your name and your email address. We are approved by and use Thomas International Ltd to provide a range of personality assessments. The only information we provide to them is your name, gender, your preferred language for taking a personality test and possibly your personal or work email address. GPP-Digi Ltd is 60% owned by The Gill Payne Partnership Ltd and delivers digital versions of our services. Your personal data may be passed to them with your knowledge when it is that part of the business that is providing the service and/or support. We make use of the Citrix ShareFile system to transfer confidential and sensitive information via encrypted emails and secure file transfer. To enable this to happen, we may have to add minimal personal information to our Client address book on ShareFile such as a name and email. The data is stored on their European servers. We use Gosschalks Solicitors to provide legal and contractual services to GPP-Digi Ltd business operations. We use Smailes Goldie Group to provide accounting and business services to GPP-Digi Ltd.
We use Towergate Insurance to source and arrange our corporate insurance requirements. Personal data in the European Union is protected by the General Data Protection Regulation (GDPR) but some other countries may not necessarily have the same high standard of protection for your personal data. The Gill Payne Partnership Ltd does not store any personal data outside the EU. To enable the fulfilment of contractual obligations with specific client and will only involve the personal data of employees and/or contractors whose details have been provided to The Gill Payne Partnership Ltd by the specific client. Either encrypted email or secure file transfer systems as agreed with the client. You are not obligated to provide your personal information to The Gill Payne Partnership Ltd however, as this information is required for us to provide you with our services or respond to your enquiries, we will not be able to offer some or all our services without it. The Gill Payne Partnership Ltd only ever retains personal information for as long as is necessary and we have strict review and retention policies in place to meet these obligations. As an example, we are required under UK tax law to keep your basic personal data (name, address, contact details) for a minimum of 6 years plus the current year, after which time it will be destroyed. The Gill Payne Partnership Ltd only processes your personal information in compliance with this privacy notice and in accordance with the relevant data protection laws. If, however you wish to raise a complaint regarding the processing of your personal data or are unsatisfied with how we have handled your information, you have the right to lodge a complaint with the supervisory authority. viewed_cookie_policy persistent This cookie is used to record your cookie preference on our web site. lang persistent Used to store language preferences and provide content in the preferred language. VISITOR_INFO1_LIVE third party 5 months An embedded YouTube-video collects visitor information and adjusted preferred settings. Our website has embedded videos and this cookie permits you to change and set preferred video settings. vuid third party 2 years An embedded Vimeo-video collects visitor information and adjusted preferred settings. Our website has embedded videos and this cookie permits you to change and set preferred video settings. NID third party 5 months This cookie is used by Google. 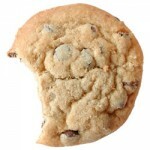 Most Google users will have a preferences cookie called ‘NID’ in their browsers. A browser sends this cookie with requests to Google’s sites. The NID cookie contains a unique ID Google uses to remember your preferences and other information, such as your preferred language (e.g. English), how many search results you wish to have shown per page (e.g. 10 or 20), and whether or not you wish to have Google’s SafeSearch filter turned on. YSC third party This cookie is used by YouTube to track views of embedded videos. IDE persistent 2 years This cookie carries information about how the end user uses the website and any advertising that the end user may have seen before visiting the website. GPS third party 30 minutes A YouTube cookie that registers a unique ID on mobile devices to enable tracking based on geographical GPS location.